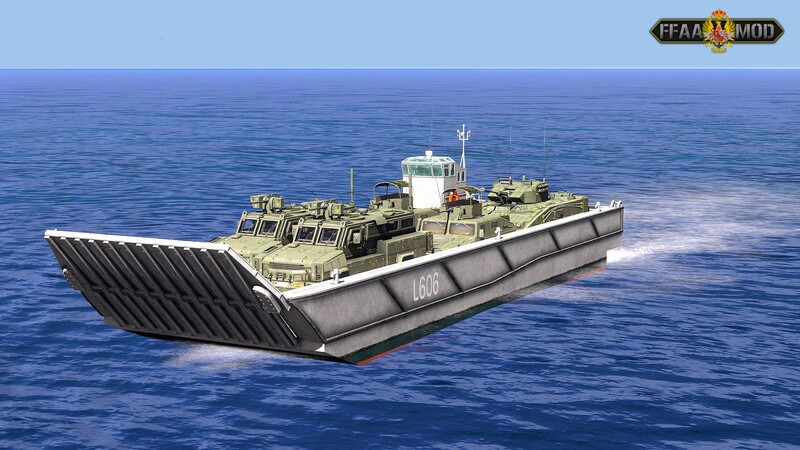 FFAA MOD provide a big amount of units of the Spanish army force including ground, air and maritime units. 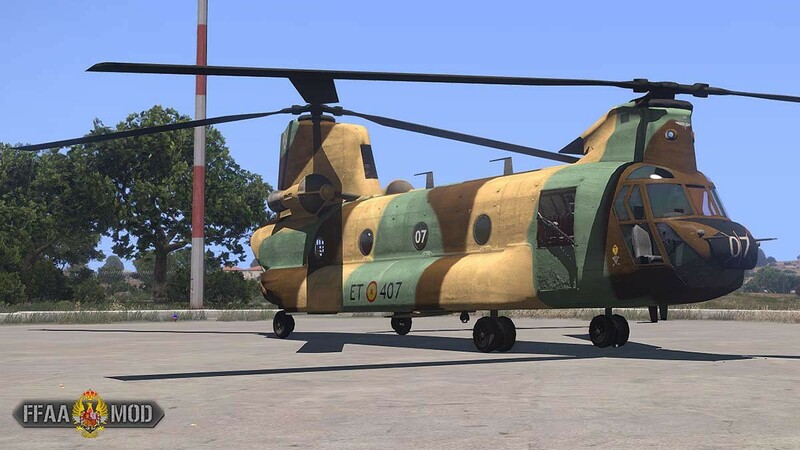 Featuring HD & AO techniques, brand new models, rework of old assets from previous versions and a bunch of new features that this version is the best for sure on our more than 10 years. Units pack, featuring BRILAT, MOE and FAMET. 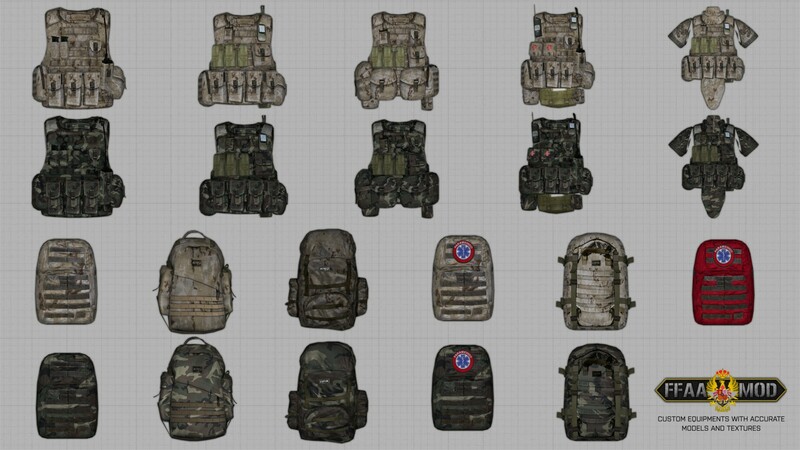 Static Weapon pack: featuring Milan & TOW AT missiles, LAG40 Grenade launcher, M2 Machine gun and Spike ER. 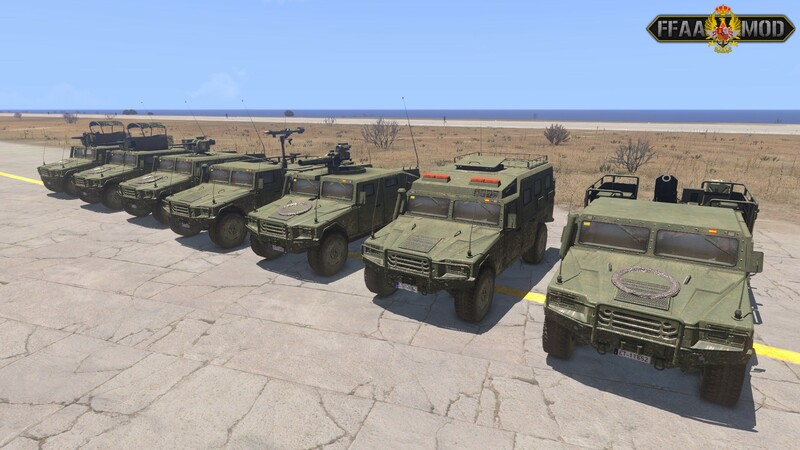 Troop transport vehicles: VAMTAC series (M2, Cardom, Crows, Mistral, TOW, LAG40 and UME versions) & Santana Anibal. Air vehicles: CH-47 Chinook and C130 Hercules. Armada Pack: BAM Meteoro (P-41), LHD L61 Juan Carlos I, LPD Galicia. 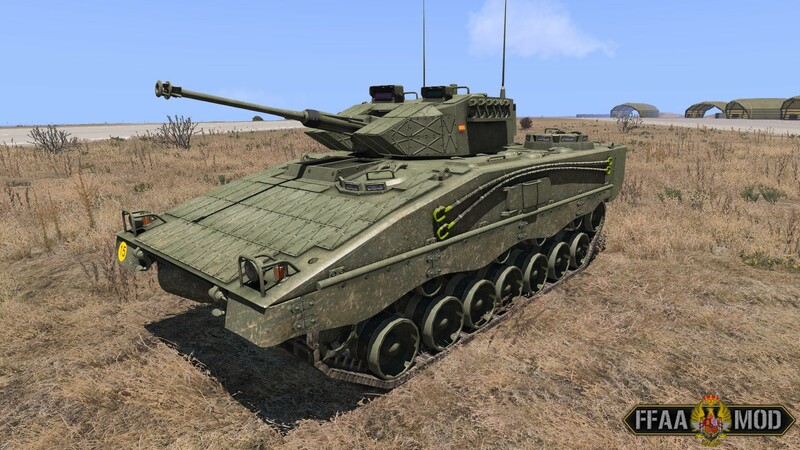 Tanks, featuring the Leopard 2E and the B1 Centauro. Air vehicles, the new Airbus A400M, the EF2000, EF18M, AV8B Harrier jets and the common helicopters like the EC665, AS532..
EOD Pack, featuring BMR M1 EDEX, Packbot and tEODor robots, robotic arm and rollers for RG-31, the Husky 2G and more custom assets. Custom Map, called Fortis Ventu.